How do we set our home care agency in Bel Air MD apart from the rest? Caring Nurses is owned and operated by licensed nurses. Excellence combined, we have decades of private duty nursing experience – enough to declare ourselves experts of providing care in a residential setting or a nursing care facility setting. We manage our network of nurses, home health aides and nursing assistants from our headquarters in Bel Air, Maryland. 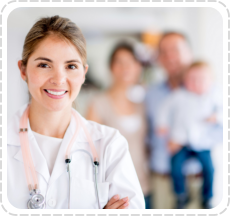 You will find that the most qualified nursing personnel in the area belong to our agency. We’ve combed through hundreds of resumes and facilitated several dozens of skills assessments for nursing hopefuls. Our hiring staff also thoroughly checks criminal, driving records and other background references. As a result, we formed a team of nursing experts who share our compassion to care for the elderly, the disabled and the chronically ill. Best of all, our home care agency in Bel Air MD brings our nursing services straight to the client’s home. We travel far – to various cities and counties in Maryland, including Maryland Eastern Shore – to reach you and care for you in your own home. Please call us at 410-638-5588. It will be our pleasure to arrange for home care services to suit your health care needs.